Jake Bugg attended the Barclaycard Mercury Prize at The Roundhouse on October 30, 2013 in London. 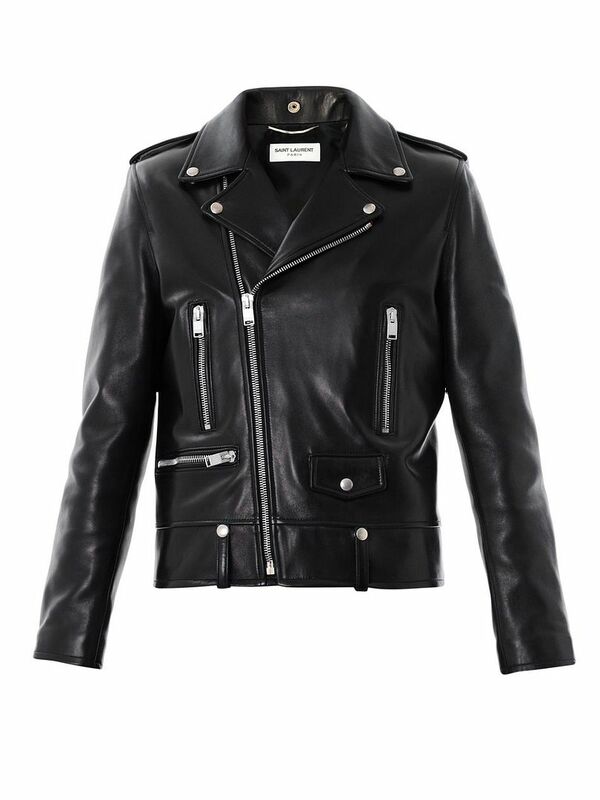 The British artiste wore a black leather biker jacket from Saint Laurent by Hedi Slimane, over a black t-shirt, denims and suede boots. Jake looked mighty glum in those pictures, perhaps because he lost out to James Blake for 'Album Of The Year'. 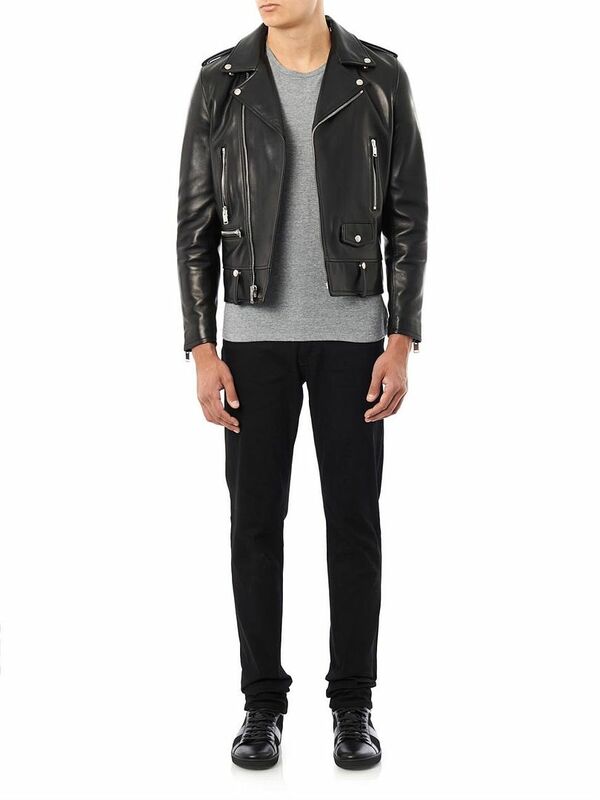 However, you can't deny that the biker jacket was the standout piece. Love the gorgeous shiny sheen on the leather jacket, and the epaulettes gave the shoulders a much better shape. This has to be one of my favourite biker jackets, come on Mr Bugg give a little smile. 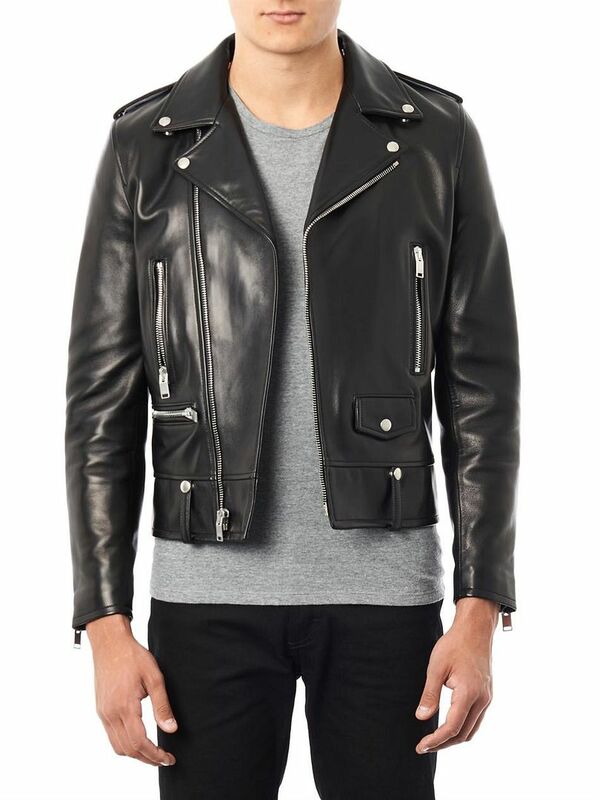 You can shop the Saint Laurent leather biker jacket online from MatchesFashion.com. maybe it is the posing with the fake statue!